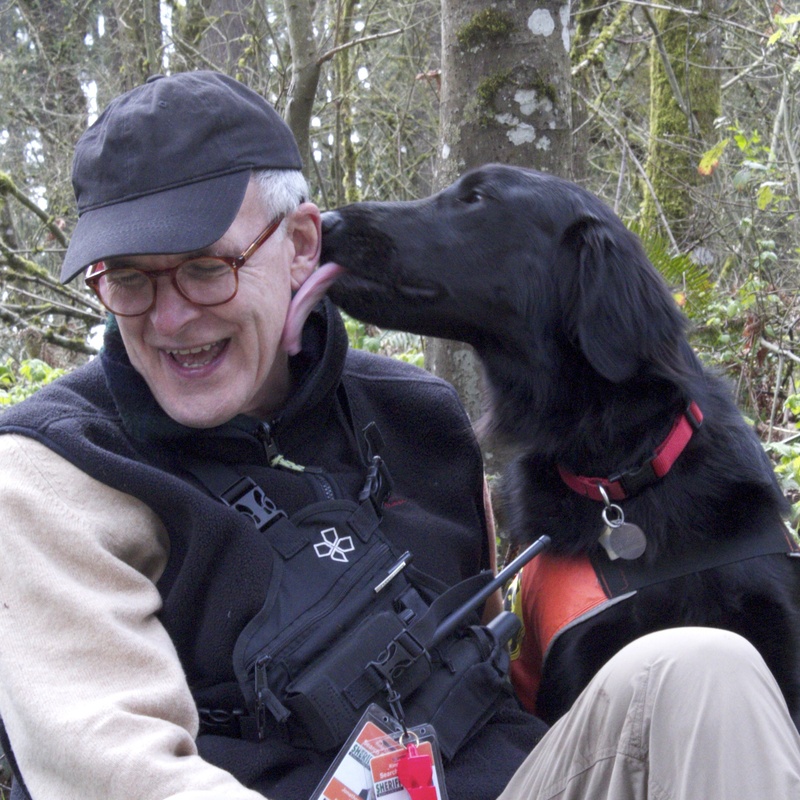 K9 Lincoln is a flat-coated retriever who is qualified for airscent searches in King County. Lincoln's zest for life is surpassed only by his enthusiasm for searching when he has been known to range hundreds of yards into the forest in search of lost subjects to lick. His house mate Emmett, another flat-coated retriever, loves to show off his search skills at KCSD demonstrations and events. Jon joined KCSD in 2015 and was the 2016 recipient of the Ted Jamieson Award. He currently helps manages fundraising, website and social media.